It's been a particularly challenging year. This sad acknowledgement of the passing of Tim Hart marks the last of such dismal notices for the year here at There Stands the Glass. An incomplete listing of the musical passings of 2009 follows. According to Maddy Prior's illuminating liner notes to this out-of-print live collection of Australian performances, that's Hart going nuts on the wah-wah pedal on this 1982 rendition of "Sligo Maid." Here's the official (and unfortunate) video of Steeleye Span's biggest hit. Hart's legacy is perhaps better served by this bit of magic. 2/15 Joe Cuba, 78, salsa's "Father of Boogaloo"
5/24 Jay Bennett, 45, Wilco, etc. Heads up, There Stands the Glass readers! I received an Ion turntable for Christmas. While I was in no danger of running out of fresh material on CD, this gift will allow me to dig into my long neglected cache of vinyl. The first album I reached for was Solomon Burke's hopelessly out-of-print We're Almost Home. I hadn't heard it in twenty years. It's possible that no one else has, either. If it wasn't for Robert Christgau's rude dismissal of the title, I'd think I had obtained some sort of private pressing. The production is pure 1972, but I kind of like those dated flourishes. And hearing Burke suggest, "You're gonna love my sweet ol' mother... I love her chicken and gravy" is priceless. Kansas City jazz blog Plastic Sax named Hermon Mehari as its Person of the Year. I want two things from a year-end 2009 music list. It must be free of Animal Collective and it must force me to reappraise my assumptions and biases. (I recognize the contradiction.) A list identical to mine would be useless to me. For those reasons, the intriguing selections by Joe Caramanica of the New York Times is my favorite effort of the season. And keep in mind that I absolutely loathe his top pick. James Gurley of Big Brother and the Holding Company died December 20. He was 69. 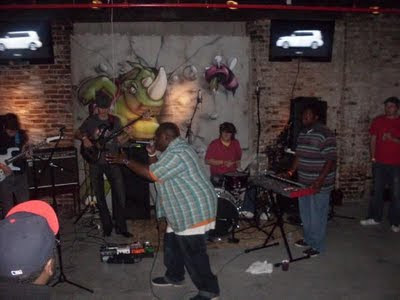 Kansas City Click: AZ-One play reggae Tuesday at the Levee. I intend to celebrate New Year's Eve a night early. Weather permitting, I'll be at Knuckleheads for Hot Club of Cowtown on Wednesday. I freaked out the last time I saw Vic Chesnutt perform. It wasn't Chesnutt who had me loopy. I'd seen him before and there was no reason to think I wouldn't see him again. The reclusive Van Dyke Parks was sitting in with Chesnutt to promote Ghetto Bells. Few in the SXSW crowd at the Austin brewpub in 2005 shared my hopelessly geeky enthusiasm. I'm rarely inclined to shush people, but I couldn't help myself that night. "Hey!" I scolded jerks who were talking over the underground legend. "That's Van Dyke Parks! The Van Dyke Parks!" My mania was met with blank stares. I suppose fans of cult artists should be accustomed to that indifferent response. The brief "Blanket Over the Head" is from The Salesman and Bernadette, Chesnutt's excellent 1998 collaboration with Lambchop. Tim Finn's year-end recap in the Star alerted me to the great deal being offered by The Record Machine. All five of the label's 2009 releases- Perhapsy, Max Justus, Capybara, Sam Billen and The Parade Schedule- are available as a $15 download. Kansas City Click: The Elders, the most popular act in Kansas City not named Tech N9ne, perform at the Beaumont on Saturday. Coyote Bill plays blues at Knuckleheads on Sunday. The gorgeous cinematography makes familiar Kansas City landmarks seem startlingly foreign. Oh, and the song is pretty great too. The low production value is perfect for this hilarious ditty. This is some funny stuff. Westport, Loose Park and Liberty Memorial are among the attractions featured in the excellent video. 105,000 views! Don't let anyone tell you that Ron Ron isn't already a star. The amateurish, homespun feel of this video is ideally suited for the song's earnest content. Stik Figa is keeping it real. The amusing video for Kansas City's rock stalwarts was shot in the West Bottoms. Tech N9ne at his best- conflicted, confused and persecuted. And Kansas City's skyline has been viewed over 279,000 times in under two months. Tech should be on the payroll of the Kansas City Convention & Visitors Association. Kansas City has no use for Lady Gaga. The best song out of Kansas City in 2009 gets a deluxe video treatment. I regret to inform the world that this is my town's anthem. This otherwise unremarkable video makes my list for three reasons. It features the obligatory shots of Kansas City's skyline, the song is memorable and I'm in one of the crowd shots. No wonder it has less than 500 views. XV- Fall Out of the Sky is ineligible because of the Wichita problem. Young Storm (pictured above), Reach, Dutch Newman and Hozey-T were among the night's featured entertainers. While none were less than good, only Les Izmore was great. He's not the best MC in the collective, but his artistic vision is more compelling than that of his colleagues. While others fall back on cliches, Izmore embraces his experimental streak. My goal had been to catch 365 live performances in 2009. I'm going to fall just short. That's still a lot of music. Here's the top seven percent. I also recommend taking a peak at the lists of dozens of Kansas City-area music fans that are compiled at Back To Rockville. This is the album I hoped Michael would make. A supremely intelligent genre-defying opus. Kansas City's hip hop scene is on fire. This inventive concept album is simultaneously hilarious and harrowing. The intersection of punk rock and classic rock. Underneath the creepiest of concepts lies ravishing music. As if Chuck D was born in Kansas City and raised on Tech N9ne. A rose with toxic thorns. I listened to this album more than any other in 2009. It makes me happy. The Flaming Lips meet Sonic Youth. A throwback to a time when mainstream jazz wasn't self-conscious and insular. My neighbor sure is cranky lately. Like an agoraphobic Arctic Monkeys. Captured in their native habitat. Out of Tech N9ne's shadow. May become the biggest thing out of Kansas since Dorothy. The Tom Waits of Texas. A crooner for the new millennium. And it looks good naked. When it comes to singles, I'm truly a man of the people. Even funnier than "I'm On a Boat" and all the better for it. The cool kids got one right. I'm a sucker for this faux-soul formula. A surprising blast of soul. God is great, beer is good and people are crazy. Oh wait- wrong song. One of the weirdest songs ever. In order to keep Kanye West from dominating this inherently absurd endeavor, I imposed a couple of rules on myself. I could list nothing from 2009 and no artist could appear more than once. Radiohead's not here. That's on purpose. I shudder to think, however, of the unintentional omissions that are bound to keep me up at night. There's a lot to loathe about Kanye. There's even more to love. C'mon- break my heart again. A mash up of "Janie Jones" and "Thunder Road"? I'm in heaven. The DVD version changed the way I experience recorded music. Breaking rules and dissolving divisions. My personal soundtrack from a parallel universe. A long and loopy groove. America doesn't get much older or weirder than this. The decade wouldn't have been nearly as good without Jack White. The living and breathing successor to Johnny and Townes. I hear your gasps. Yes, I prefer this homage to Marvin, Isaac and Curtis to The Blueprint. I love the new school, but Solomon's still out there. Unless you count Jack White, Whitley was the last great blues artist. My man had his best decade since the '70s. Imagine that. I know these places well. Ignore the jazz hands on the cover. This stuff is no joke. And I don't even smoke. Of all the Marsalis brothers, it's Jason who makes my list. Go figure. My status as the most visible of the late vocalist's advocates saddens me. Please join me. Ferocious post-9/11 defiance from New Orleans. I've impatiently waited for the pop music of the future to arrive. It's finally here. Hip hop now provides most of my rock'n'roll kicks. Bobby Fuller meets Saddam Hussein. A convincing foretelling of doomsday. Gospel's popularity is a contrary indicator. Right back at you, Wayne. I can't play it off. I've heard this more often than any other song this decade. And that's alright with me. Leiber & Stoller's song has been replaced. I'm pulling for you, Amy. I'm not convinced that Pharrell isn't from another planet. One of the biggest compliments I can pay musicians is suggesting that I don't know what to make of them. That's certainly the case with Mouth. My first inclination was to dismiss them as a just another jam band. But Mouth deserves better. The free Escape From the North Pole mix tape (download it here) contains dub, weedy reggae, jazz fusion and yes, jam band noodling. There are also a couple of hip hop collaborations. The obvious delight Reach takes in working with an energetic live band is infectious. Reach is also heard to great effect in this new video. I've only seen Mouth perform once, but it's not as if they're hard to find. They play the Jazzhaus in Lawrence Saturday and the Beaumont in KC on December 18. I love the new Stika Figa video. No glamor. Just Topeka. Talk about keeping in real. Mary J. Blige! Sugarland! Tegan and Sara! Emmylou Harris! Brandi Carlile! Erykah Badu! I can't believe I'm saying this, but I'm excited about the 2010 edition of Lilith Fair. My friend Chris remembers the ill-fated career of Kansas City band The Front. Marva Whitney was the guest on The Walt Bodine Show yesterday. Here's the podcast. I'm working as hard as I can at Plastic Sax to make everyone angry. Kansas City Click: Friday's Murder Ballad Ball at Crosstown Station is billed as "a night honoring the folk tradition of storytelling and murder ballads through song." Many of Kansas City's premier singer-songwriters, country-rockers and folkies are on the bill. It seems really improbable, but Italian jazz pianist Roberto Magris is scheduled to perform with Tootie Heath and Logan Richardson Sunday at the Phoenix. Diverse will team up with Logan Richardson Monday at The Record Bar. 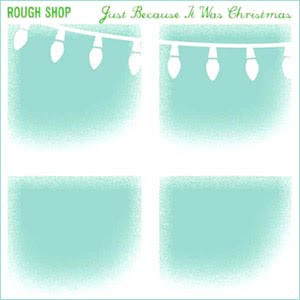 Had the MP3 of "Just Because It Was Christmas" not been emailed to me directly by a member of the band, I would have sworn that the new seasonal song was created by the celebrated likes of Ian McLagan, Amy Rigby, The dB's or The Rumour. It's rooted in precisely the type of British pub rock that hits me like a mug of spiked eggnog. On Just Because It Was Christmas there's no hint of ironic distance from the act of celebrating Christmas. Nor is it a leaden, overly-reverent, uncritical recitation of what everybody has heard before. It is a collection of beautiful, emotionally truthful, sometimes funny, sometimes sad songs, and it deserves to be added to the list of exceptional Christmas albums. The eleven-song Just Because It Was Christmas album is available here. If I end up compiling a "video of the year" list, Young Dro's "I Don't Know Y'All might be my top pick. Kansas City Click: Jimmy Wayne and Chris Young are among the country stars crooning Wednesday at the Midland. Ampichino appears at America's Pub on Thursday. It's not as if I knew Liam Clancy. I never even saw him perform. But listening to his exquisite 1965 solo album is almost too much to bear. The disaster depicted in "Anach Cuain" is devastating. Clancy's rendition of "Dirty Old Town" is reserved while "Home Boys Home," ostensibly a jaunty sailor's song, emphasizes the damage done by wayfaring strangers. "The Water Is Wide" reduces me to a puddle of tears. It's all great. So is this more recent live performance of "Red Is the Rose." It's not for the parting with my sister Kate/ It's not for the grief of my mother/It's all for the loss of my bonny Irish lass/That my heart is breaking forever. I truly enjoyed Darius Rucker's concert a couple days ago. Here's my review. Kansas City Click: Brian Martin headlines a hootenanny Tuesday at the Record Bar. It can be the most liberating and cathartic of musical forms. It's also inherently ludicrous. The head-banging? Hysterical! The guitar solos? Absurd! The song titles? Laughable! The band logos? Preposterous! Thunder Eagle understands this. Their implicit acknowledgment of metal's contextual silliness allows them to rock even more convincingly. 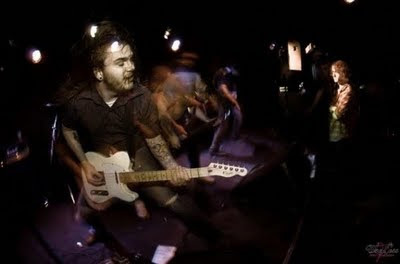 Songs like "Classical Decomposer" and "Alcoholocaust" (grab the MP3 at PureVolume) demonstrate that humor and head-banging go together like vodka and tonic. As displayed in this year-old video, Thunder Eagle masterfully fuse post-AC/DC blues with Southern rock and contemporary thrash. They've since released the five-song Ride The Timberwolf (another local gag) and are working on their first full-length album. They hit the Riot Room on Monday. I happily downloaded two free mixtapes by regional artists this week. There Stands the Glass-favorite Stik Figa has a new project with D/Will. It's here. And the download from Mouth, a jazz-funk-reggae-hip hop jam band, is a shockingly diverse project. Kansas City Click: Spoon, The Bravery, Metric and Hockey play for fans of a radio station Thursday at the Midland Theater. Angela Hagenbach croons Friday at Jardine's. Megadeth touches down at the Beaumont Club on Saturday. I wouldn't mind hearing Darius Rucker sing "Alright" at the Midland Theater on Sunday. Thunder Eagle rocks the Riot Room on Monday. Besides, the unapologetically cornpone component of the band's sound gave Gold and Green, the band's first Christmas album, the potential to be a fully realized holiday classic. Alas, they don't quite get there. Split between original and classic material as well as the sacred and the secular, the album is too disjointed to become a holiday staple. Still, a handful of individual tracks are excellent. The Leon Russell-style gospel-blues of "Comin' Home" works, as does "Maybe Baby (New Year's Day)." And I don't know why Nettles breaks into Spanish on "Silent Night" but I like it a lot. It's not perfect. "Nuttin' For Christmas" is the sort of condescending hillbilly tripe that represents Sugarland at their worst. I'm not suggesting that Sugarland forsake its country roots, but the song doesn't ring true to my ears. Their ill-advised satirical advertisement for the project isn't funny either. I remain convinced that Sugarland has a classic Christmas album in them. It'd be just fine with me if Sugarland put out a Christmas album every year until they get it right. I compile a list of The Ten Most Important Jazz-Related Events and Stories of 2009 at Kansas City jazz blog Plastic Sax. Kansas City Click: Rex Hobart plays an early show at The Record Bar on Tuesday. Jerry Hahn plays Jardine's on Wednesday.